At the Learning Center in Copey students from the advanced group have been involved in a project where they are looking at environmental problems such as habitat depletion and nuclear pollution and presenting causes, effects, and possible solutions. Another group this week has been practicing in English how to describe physical characteristics and personality traits. Other recent class projects have included writing plays and presenting them in english and learning how to develop and construct teacher lesson plans. We could easily be preparing future school teachers who will some day lead other students to a much better future. 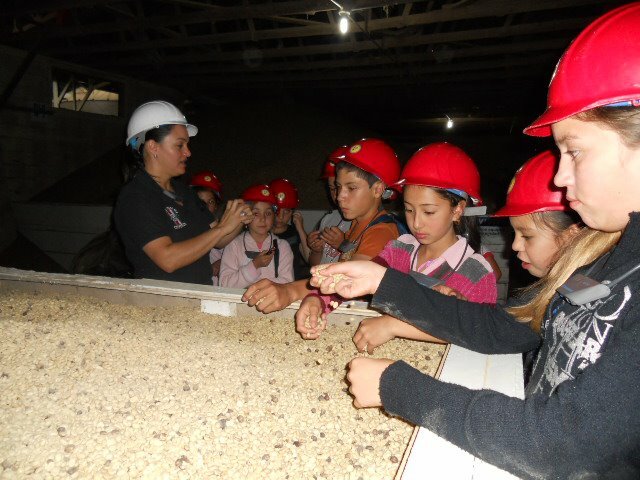 Recently, students went on a tour at a coffee plant to learn how coffee is produced. Based on the students’ learning activities, there could be a future playwriter, school teachers, plant production managers, environmental scientists and the works developing right there in the Learning Center. At La Cima, a few miles away from the Learning Center, they have celebrated the first month of operation. 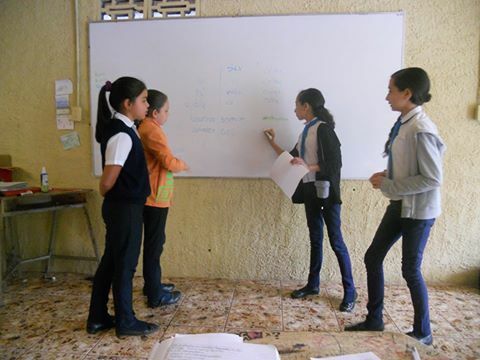 Here, the volunteer teacher is helping the students learn the word “ear” in English. Clearly, they have begun their English learning journey. For you Anne G. Broady Scholarship donors, you are in for a very special treat this year. I have seen the format of the information you will receive on your scholarship recipient being sent soon to you directly from the Learning. Many of the students you see in these photos are attending the Learning Center because of your financial support to the Anne G. Broady Scholarship Fund. It is Memorial Day weekend in the US. Actually, I would prefer the day be called Remembrance Day but there are places already where Remembrance Day or “Poppy Day” is observed. In European countries, Remembrance Day is observed in November in remembrance of the end of World War I. We celebrate Veteran’s Day at that same time. It is Remembrance Day for me because that is what I do and what others hopefully will take a minute to do today…remembering those who died for freedom, those who have been wounded in battle, and those still in the battle to protect us and our lives as free people. 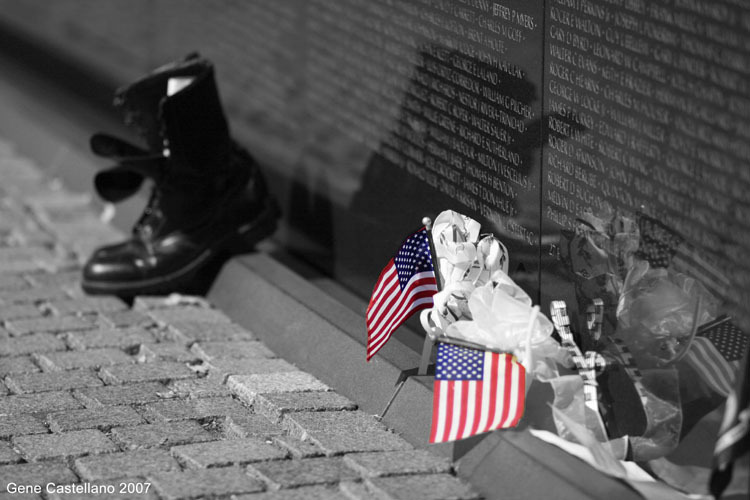 It is all about remembering and honoring their service and the sacrifice’s made for the freedoms we all enjoy. Some have a hard time remembering that freedom is in constant need of protection.Turn on your television news. Likely, you will see and hear about those people in countries who are fleeing their home because of terrorists. As refugees they have no freedoms, no homes, and probably very little future.This is now, today and all happening in real time. People, including children in Afghanistan, Iraq, the Sudan, eastern Europe, and other places have lost their freedom and others are in the crosshairs of those determined to enslave or kill them. When I sit to write this Blog each week and I am reminded how free I am to speak my mind and share my thoughts. I am reminded how free you and I are to get involved in a project that only free people can do without government dictators controlling or preventing it. The Blog is reaching others around the world and I have no fear of reprisal or incarceration from a government dictator for speaking my mind and for doing this Blog.This is in part what makes “Friends of Copey” extraordinary and special. We are exercising our freedom to help and to have a positive impact on others. Those who have lost or losing their freedom can not do this…as a free person. I enjoy my freedom, use my freedom, and fully support the protection of my freedom and hope you will remember today that this freedom is not a gift…many have paid for this freedom starting back as early as the Revolutionary War. A few schoolmate friends paid part of “freedom’s” price during the Viet Nam Conflict (War). Each year now for almost 50 years, I have found a way to publicly recognize them on Memorial Day for their service and sacrifice while serving in our military. I recognized them in my Memorial Day Post in 2014. 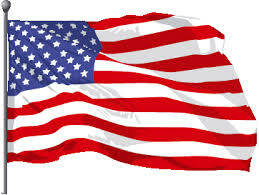 So today again I salute Danny Watkins from Meadowview, Virginia; Michael Charles and Kenneth Delaney both from Bristol, Virginia; and Frank Campbell from Chilhowie, Virginia. This is my Remembrance Day! Jeff Gordon finished 15th yesterday at Charlotte Speedway…no further comment! 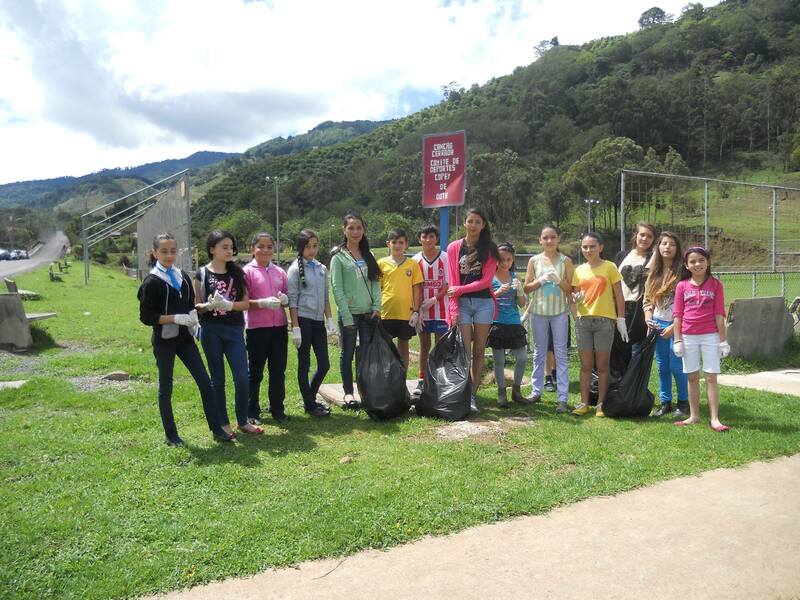 This entry was posted in Brazilian Education, Central American Education, Key Friends, Kiwanis, NASCAR. Bookmark the permalink. ← The Thrill is Gone…! A wonderful update AKA! Reminds me of the old song , “Turn around and you are two, turn around and you are four, turn around and you are a young one going out the door…..”. Nice Memorial Day observation. We’ll done!